Team Members Present: All team members were present to bare witness to the launch. Play-by-Play: The swivel engine was engaged and the Jebediah Kerman for the first time in his career lifted of the surface of the planet Kerbin. The first stage burned, propelling the capsule to around 7000 meters. The first stage was then was dropped and the capsule used its momentum to reach a final height of just over 10 km. 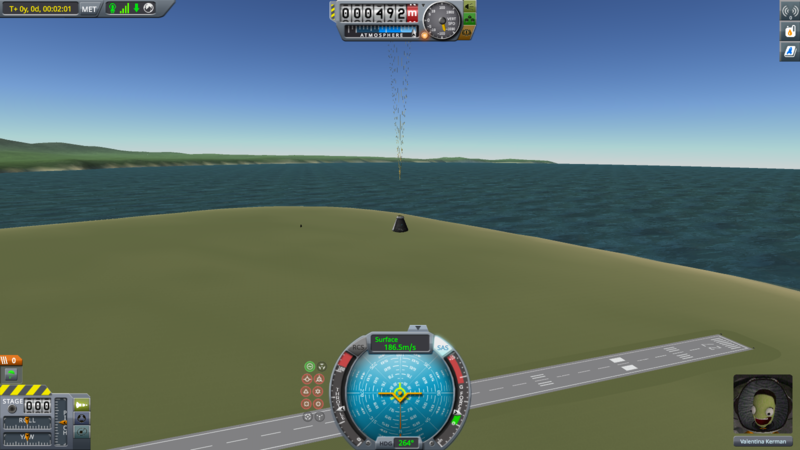 As the rocket then fell back towards home, the parachute was released to slow Jebediah down and return him alive and safe back to Kerbin. 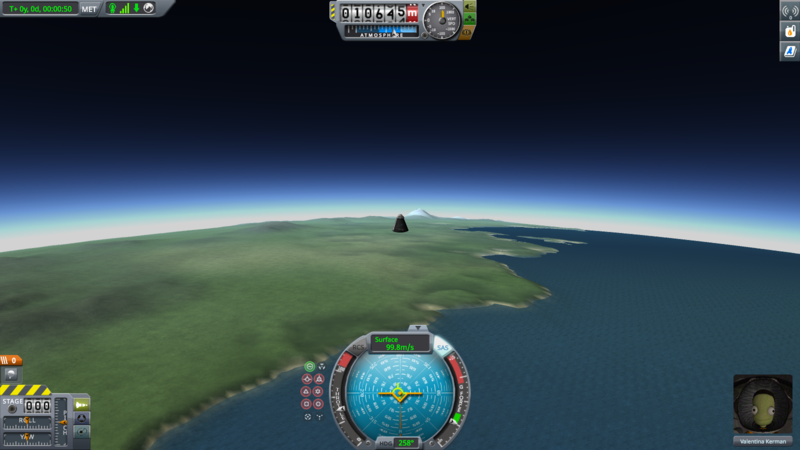 Summary: this mission over saw a successful launch of Jebediah Kerbin to an altitude of 10 km. He was returned safely and said that he enjoyed his time, and that he was Erika Nash in a costume. The mission earned our group $15000 for an initial investment of around $5000. For our next launch we plan to use this achievement to drive the design and launch of more complex rockets and missions. As to the next launch we must be more attentive as towards the timing of stage releases as well. Opportunities / Learnings: We learned the proper timing for releasing the parachute so that it doesn't break or release to late, risking the lives of innocent Kerbals. Strategies / Project Timeline: This launch has given our group the confidence to make the next step towards a 50 km launch and a stable orbit around the planet Kerbin. The success of this launch gave us the funds to experiment with more engines and controls to improve our designs and launches.